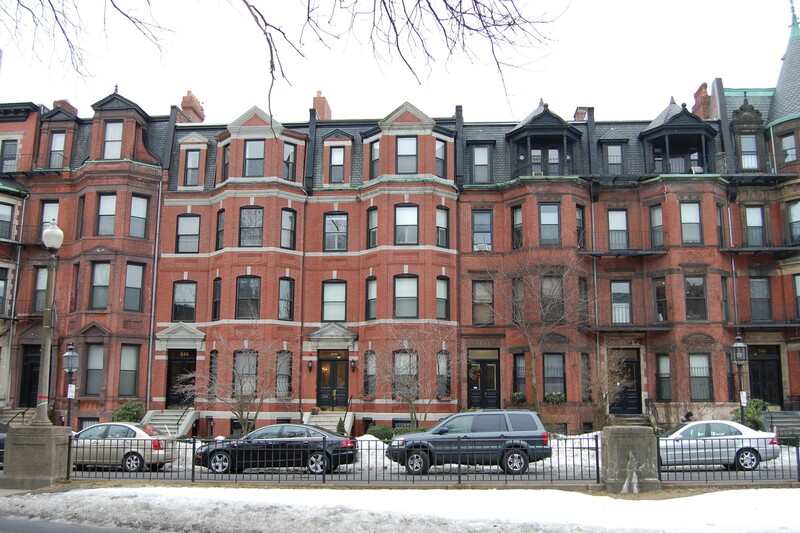 342 Commonwealth is located on the south side of Commonwealth, between Hereford and Massachusetts Avenue, with 340 Commonwealth to the east and 344 Commonwealth to the west. 342 Commonwealth was designed by Obed F. Smith, architect, and built in 1883-1884 by Vinal & Dodge, masons, for building contractor George Wheatland, Jr. for speculative sale. He is shown as the owner on the original building permit application, dated November 10, 1883. The house was originally numbered 340 Commonwealth until about 1889, when 328 Commonwealth was built and the houses to the west of it were renumbered. 342 Commonwealth was one of two houses (342-344 Commonwealth) designed in the same style, and one of thirteen houses (336-360 Commonwealth) built for George Wheatland, Jr., by Warren D. Vinal and Charles A. Dodge on land owned by Charles Merriam and by Jacob Rogers. 336 Commonwealth was designed by George Avery, 338-340 Commonwealth were designed by Bradlee, Winslow, and Wetherell, and 342-360 Commonwealth were designed by Obed F. Smith. 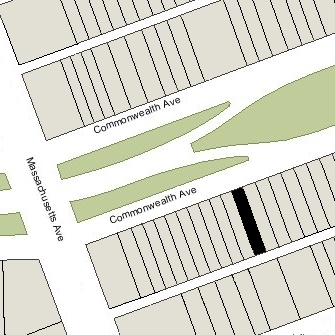 Click here for an index to the deeds for 342 Commonwealth, and click here for further information on the land on the south side of Commonwealth between Hereford and Massachusetts Avenue. On November 4, 1884, 342 Commonwealth was purchased from George Wheatland, Jr., by George Henry Williams, Jr.
George Williams was unmarried and lived at 342 Commonwealth with his step-father and mother, William Vincent Hutchings and Ellen (Davis) Williams Hutchings, and his sister, Ellen Augusta Williams. 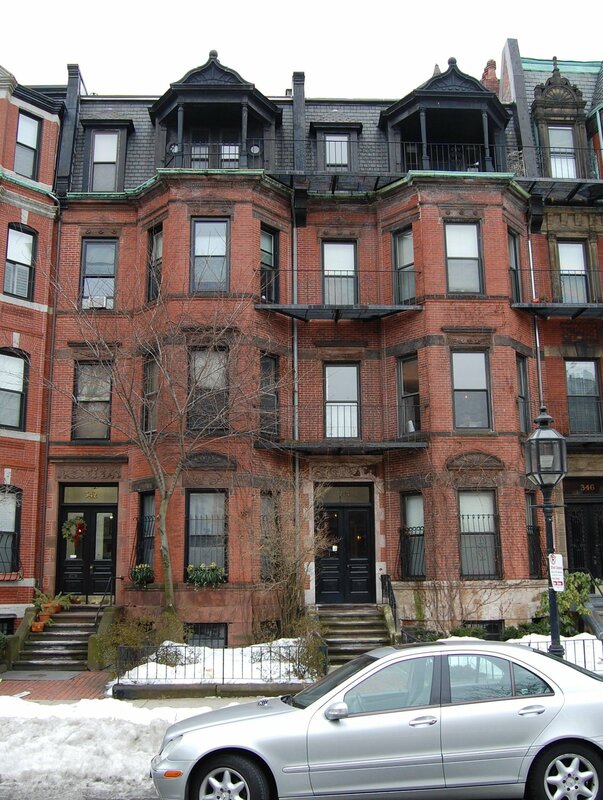 They all previously had lived at the Hotel Pelham (southwest corner of Boylston and Tremont). George Williams had graduated from Harvard in 1881 and worked for several years as a draughtsman with the Hinckley locomotive works. In 1883, he became a real estate dealer. William Hutchings was a marine and fire insurance broker. He had served as a Colonel in the Civil War. William Hutchings died in July of 1888. George Williams married in March of 1889 to Anna Hale Thomas. After their marriage, they lived at 342 Commonwealth. His mother and sister moved to the Hotel Vendome and then (by the 1895-1896 winter season) to 353 Marlborough. By the 1920-1921 winter season, George and Anna Williams also maintained a residence at the Hotel Somerset. Anna Williams died in 1930. 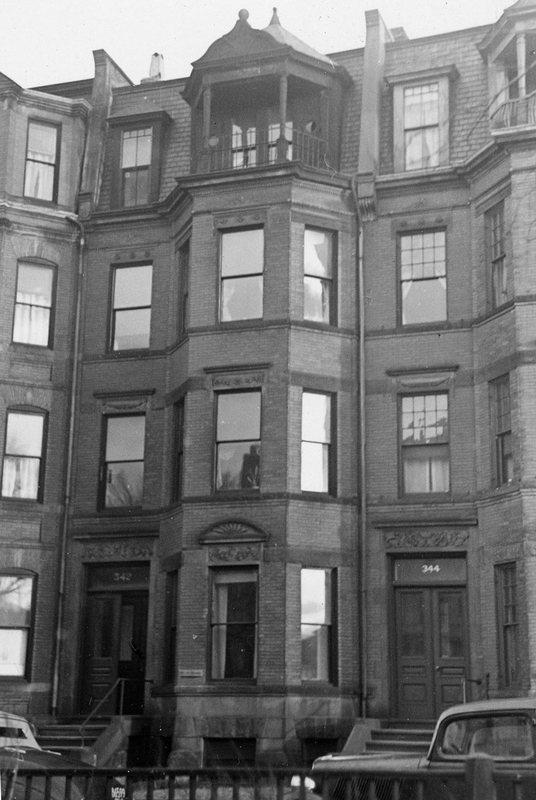 George Williams continued to live at 342 Commonwealth during the 1930-1931 winter season, but made his home at the Hotel Somerset thereafter. 342 Commonwealth was shown as vacant in the 1931 City Directory. On January 26, 1931, 342 Commonwealth was purchased from George Williams by Dr. Joseph Barone, a physician. He converted the property into medical offices and a multiple dwelling, either apartments or a lodging house. He and his brother, Dr. Anthony Barone, a surgeon and dentist, maintained their offices there, along with Dr. Gaetano Faillace. Joseph Barone and his wife, Beatrice (de Robertis) Barone, lived in Brighton. Anthony Barone and his wife, Mildred (Knowles) Barone, lived at 282 Hanover. Joseph and Anthony Barone also both maintained medical offices at 282 Hanover. In July of 1938, Anthony Barone acquired 214 Commonwealth and made it both his home and office. Joseph Barone continued to maintain his office at 342 Commonwealth, and both brothers continued to maintain an office together at 282 Hanover. Among the residents at 342 Commonwealth was retired architect William W. Dinsmoor and his wife, Grace Bertha Virginia (Elmore) Dinsmoor. They lived there from about 1939 until his death in October of 1950. In February of 1941, the Building Department cited Joseph Barone for changing the occupancy of 342 Commonwealth from a single-family dwelling into a “doctor’s office and tenements” without a permit. In March of 1941, he applied for (and subsequently received) permission to convert the property into a doctor’s office and lodging house. In the application, he stated that the current use was a doctor’s office and four apartments. On May 21, 1941, Joseph Barone transferred 342 Commonwealth to himself, his wife, and their son, Pasqual Barone, as trustees of the Barone Real Estate Trust. On May 14, 1947, they transferred the property back into Joseph Barone’s name. Joseph Barone died in December of 1950. On February 29, 1952, and May 27, 1952, 342 Commonwealth was acquired from Joseph Barone’s estate and heirs by real estate dealer Charles Talanian. On June 2, 1952, 342 Commonwealth was purchased from Charles Talanian by Ralph Edmund Kirby and his wife, Mary Elizabeth (Caseau) Kirby. He was a plumbing and heating company executive and real estate investor. They lived in Waltham and later in Wellesley. On June 2, 1952, they transferred the property to the Kirby Realty Corporation. That same month, they applied for (and subsequently received) permission to convert 342 Commonwealth into nine apartments. In their application, they stated that the current occupancy was a doctor’s office and five apartments. Based on the City Directory entries, from 1954, the property was occupied as ten apartments. Ralph Kirby died in June of 1967. 342 Commonwealth continued to be owned by the Kirby Realty Corporation, with Mary Kirby as president and treasurer. On September 30, 1968, it transferred the property into her name. 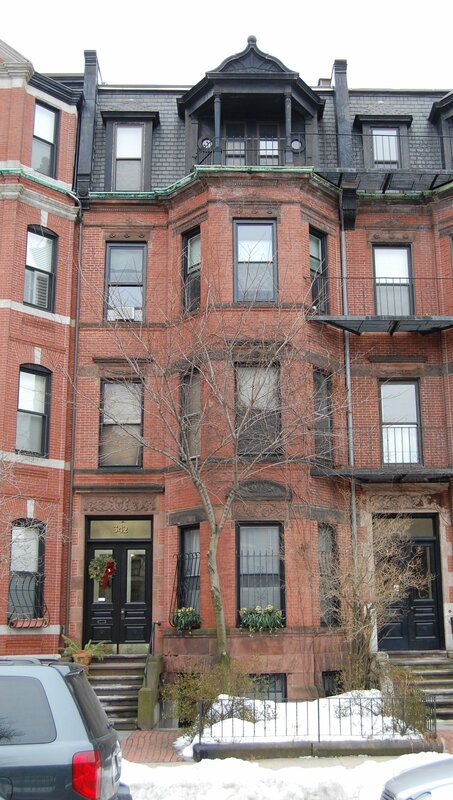 On July 2, 1979, Mary Kirby converted the property into ten condominium units, the 342 Commonwealth Avenue Condominium.